YEAR 2016 CRANE WITH TIER 3 ENGINES=NO EMISSIONS! 160 US TON CLASS (130 METRIC TON) ALL TERRAIN CRANE. BOOM: 197 FEET (60 METERS). JIB: 35' - 62FT WITH HYDRAULIC OFFSET OPTION 0 TO 40 DEGREES. TWO JIB EXTENSIONS FOR A TOTAL JIB OF 108' (AVAILABLE OPTIONAL). 2 WINCHES-MAIN AND AUXILIARY & ROOSTER SHEAVE. FULL COUNTERWEIGHT PACKAGE 92,400 LBS. 3 SHEAVE BLOCK, SINGLE SHEAVE BLOCK & BALL. AIR CONDITIONING IN BOTH CABINS. ADDITIONAL ENGINE-INDEPENDANT CABIN HEATER WITH TIMER. ENGINE PRE-HEATER & HYDRAULIC OIL PRE-HEATING VALVE. DRIVES: 10 x 6 x 10. 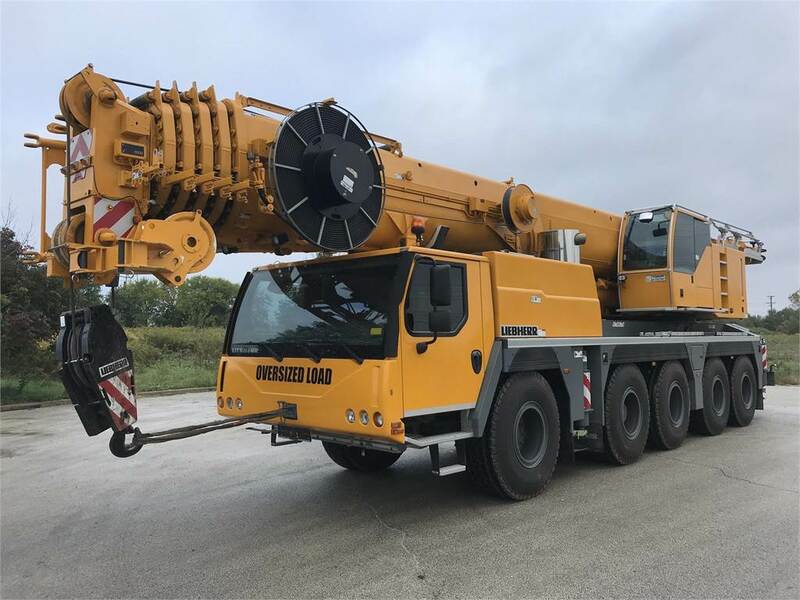 Crane was sold new by Liebherr USA with a rare emissions exception/EPA credit. Exceptionally Maintained, Parked in Heated Garage.